We are reading the story of Christmas and all stories, if we really want to understand them, must be read from the beginning. So we started in the Garden. And it is there that we see the beginning of a pattern that has continued to this day: When men and women know that their sin has been discovered they hide from God -or at least we fool ourselves into thinking that we can actually hide from an omnipresent, omniscient God-. But because of Jesus, because of who He is and what He has done, we now have a perfect place to hide from all the shame and guilt of sin. 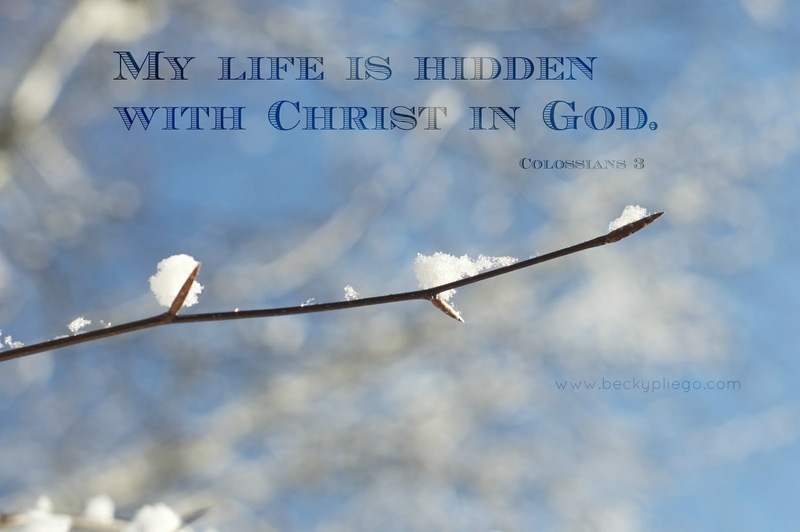 Paul reminds us that our lives are now hidden with Christ in God. Christ is the perfect hiding place. Do not hide your sin, yourself, your shame. and our hearts be restored. This is why we can be merry. This is the reason why Christmas is good news. Jesus, the Savior has come! What a glorious truth! No more hiding, no more running away, no more "trying harder." Our life is hidden with Christ in God. Alleluia! This is one of the reasons why we have lights and candles decorating our homes in Christmas, to remind us that because Jesus Christ came to save us, to redeem us, we don't have to walk in darkness anymore. We don't have to walk in fear, Jesus is our Prince of Peace.